Learn new skills, become more comfortable and proficient, keep abreast of new technologies and meet others with similar interests. Get help or advice when purchasing a new PC by visiting our repair shop on Mondays to discuss your needs with our shop technicians. Get assistance resolving issues with your computer by visiting our repair shop on Mondays to discuss your issues with our shop technicians. Whatever your skill level or interest, our Computer Club on Lake Gaston has something for everyone! First Year dues are $35 per family household membership. Former Member who let membership lapse - $35. Current Member Renewal - $25 annual dues if paid within 1 month after due date. Membership period will run for one year. We encourage interested persons to attend a meeting before joining the club. You can enroll at the meeting. Our Club is open to all persons interested in home computing. There is no charge for first time guests, and no advance notice of your attendance is required. How to enroll? 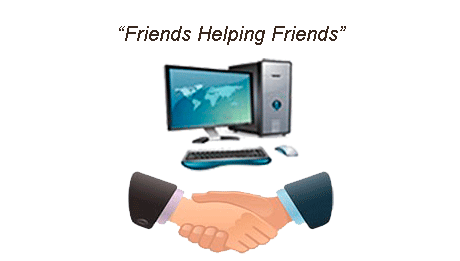 Attend a monthly meeting or submit a check by US mail payable to: Lake Gaston Computer Club. Or you can open and VIEW THE MEMBERSHIP FORM, FILL IN THE BLANKS; then PRINT and MAIL to the address on the form along with your check to join the LGCC. Some Browsers may not support the fill in functionality of the form. If you are not able to fill in the blanks from your computer, please print the form, complete manually and mail it along with your check to the LGCC.